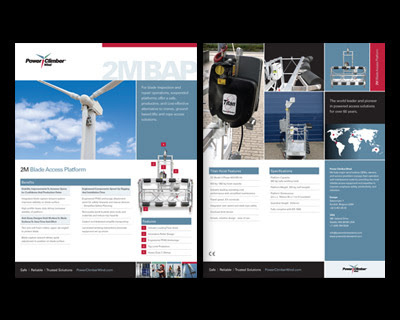 Design Hovie Studios has designed the new product sheet system for Power Climber Wind. Power Climber Wind is the world leader in powered access solutions. The two-sided sheet system is designed in 8.5"x11" and A4 sizes to meet the requirements of Power Climber's world-wide audience.